But when it comes to his recommendations to remedy the dysfunction that permeates throughout each of the Department’s administrative offices and the approximately 1,700 hospitals and treatment facilities it operates across the United States, it becomes clear that Nabors really doesn’t understand the VA’s real problem: it is a government-run monopoly that is incapable of attending to the real needs of the Americans it is meant to serve. We know that’s the case because Nabors’ primary solution to address the VA’s massive deficiencies in providing timely medical care to veterans seeking it is to greatly increase the spending and size of the Department. That recommendation is reflected in a Senate-approved bill that would provide $500 million to hire more doctors and nurses to work at the VA’s treatment facilities. The problem with that “solution” is that if spending more money to hire more staff was the VA’s real problem, the enormous spending increases over the previous 10 years, and especially since President Obama was sworn into office on January 19, 2009, would have kept it from getting so bad. The VA would already have addressed its crisis in providing timely care to U.S. veterans. We find then that they have already tried that solution and failed. What the VA’s administrators did instead was to create an incentive system to hide their deficiencies and to enforce disciplinary measures against anyone who might expose it so that they could claim large bonus payments for themselves. 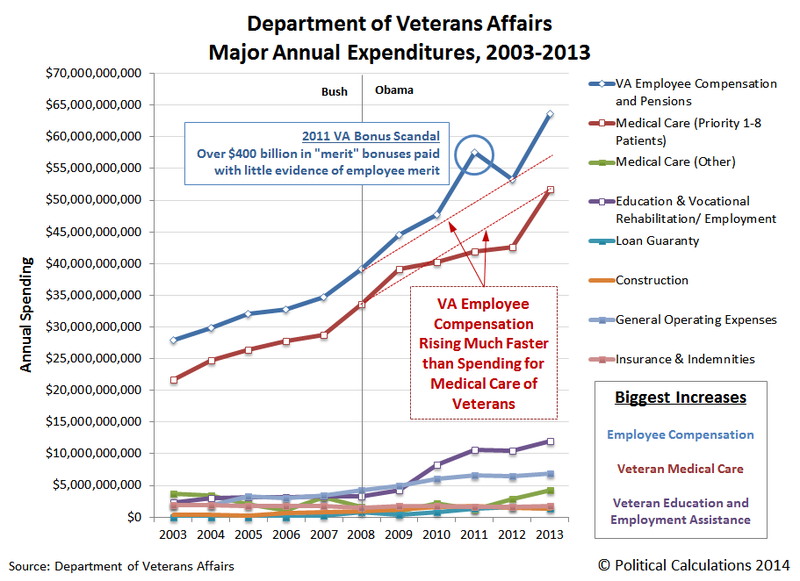 As the massive spending increases for the VA in recent years demonstrate, nothing about hiring additional doctors and nurses would fix the agency’s systemic integrity issues; that action would only add more people to the bureaucratic fiefdoms that already exist within the Department, where the corrupt administrators of that bureaucracy would benefit from the increased prestige and status from having authority over more people (the non-monetary kind of compensation that bureaucrats crave in addition to their benefits and bonuses). Worse, think about where those doctors and nurses would be hired away from: the private sector. 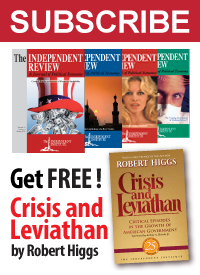 At the same time the U.S. health care system is reported to be experiencing shortages of physicians, surgeons and nurses, what possible benefit can there be for Americans to have such qualified health care providers sequestered away in the VA’s exclusive single-payer health care system? What would make much more sense would be for the U.S. Congress to force the VA to rationalize the care it provides to U.S. veterans by specializing in providing the kind of medical care that U.S. veterans are much more likely to require than their civilian peers (such as for combat-related injuries, post-traumatic stress disorders, etc. ), and to downsize its staff and operations accordingly to focus upon that achievable mission. Better still, by focusing on providing that kind of specialized care, it would be possible to fully fold the succeeding parts of the Veterans Health Administration into the Department of Defense’s health care system. Hopefully, this would help provide fully continuous and seamless medical care to the veterans who need it most. In addition, the corrosive culture that defines the Department of Veterans Affairs could be fully replaced by the culture of accountability that is taken more seriously within the Department of Defense. Instead of extracting qualified medical personnel out of the private sector to provide exclusive care at VA-operated facilities, the VA should provide vouchers that would allow veterans to directly receive general medical care from the multitude of private sector health care facilities where it is provided. What is really interesting about this approach is that this kind of reform could be self-funding; it would not require more spending by the federal government. By decisively pruning back its ineffective bureaucracy to focus on providing specialized care for veterans, the money that is now being wasted on continuing to pay the salaries, benefits, and pensions of the VA’s most unfit administrators could instead be redirected to providing the medical care they have benefited from denying to America’s military veterans. And the best part? Everybody who really matters, wins.